A quick summary: The Rayburn family is like any good TV family: dysfunctional. When it comes to Danny, the oldest son, everyone is always on their toes, not sure how he’ll embarrass the family next. But when the family reunites to celebrate their parents, mysteries begin unfolding and secrets start coming to light…leading to some tragic consequences. Let’s dive right into it: the strength of Bloodline is its cast (Kyle Chandler, Linda Cardellini, Ben Mendelsohn, Sissy Spacek…I could go on), and the characters such you right in. But, man they drink some crappy beer. Lots of cheap stuff. So I’m using this opportunity to promote one of the easier styles of beer to drink, but also a beer that’s very good. 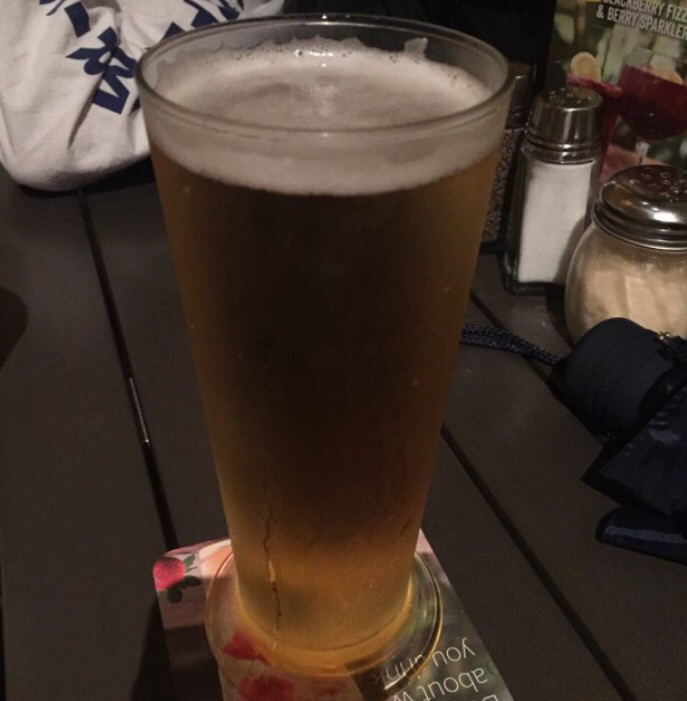 Lagers are the beer of choice for most – Budweister, Bud Light, Coors Light and PBR are all lagers. And most of those are…less than good. So while you’re watching this captivating drama set in the tropical world of Florida, drink a Longboard Lager. Yeah, it’s from Hawaii, but man is it good. It’s easy to drink and has enough complexity to where it’s not bland. It’s the perfect starter’s beer, especially with summer coming up. As for the show, I’ve already hit the biggest strength – the cast. All the characters are brilliantly written and performed, making this show worth watching just to see the chemistry. But the story is compelling as well. It’s mysterious and original, with enough exposition and reveal to keep you in a mixed state of being in and out of the loop. Simply put, it’s a really, really solid show. Luckily, Netflix has decided to renew it for a second season. So go ahead and binge while you wait for 2016 to bring us new Bloodline. Season five of GoT is really picking up to be the best season yet. It’s still strange dealing with the new power dynamics, but things are starting to pick up and characters have clearly defined goals and motivations now. And remember how last week Sansa and Littlefinger talked about ale? Well this week they’re back to Westeros’ drink of choice – wine. Everyone is talking about wine, from Tyrion and Varys on their way to Mereen to Margaery throwing some serious shade toward Cersei about her drinking problem. So I’ll say the best way to enjoy last week’s episode “High Sparrow” is to curl up with the wine of beers – a barley wine. They’re big, so make sure you only have one.